How has Kingdom Hearts changed your life? 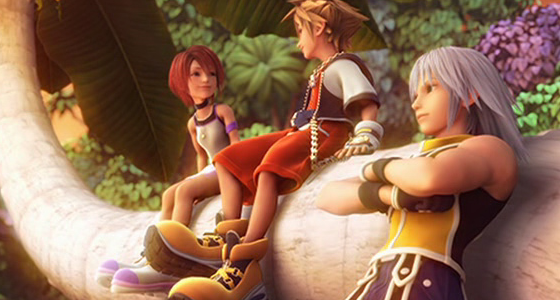 Friendships, Growing Up & Experiences - How has Kingdom Hearts shaped your life? Well, today I wanted to do something a bit sentimental. Kingdom Hearts, among being an exceptional game and leaving a mark among the ranks of JRPGs that will never be forgotten has done something else that will trump any other accomplishment a game can achive. The Kingdom Hearts series has tied together people, stirred personal emotions and created memories that last long past the time when you reach that one hundred percent game completiton. The deep personal and emotional connection that the Kingdom Hearts series had created will beget an enormous legacy. I know that everyone has had different and unique experinces with Kingdom Hearts, it’s characters, music, story and beyond. But I would like to share a bit of my own personal time with the series and hopefully probe discussion amongst others of how Kingdom Hearts has touched their lives. My first moments with Kingdom Hearts were blissful in the discovery of new music. I took the chance to listen to the soundtrack and found within it some of my favorite music that at times was fun but most importantly was moving. It wasn’t long before I imported the soundtrack and lost myself within Destati’s power and the beauty of Simple and Clean. I was instantly in love. But that wasn’t as far as my love could go for the game, during the first year I spent with Kingdom Hearts there was in my family the passing of someone whom I was very close with. I was naturally sad as was everyone else and amongst my family there was an irreplacable solace. However my soul needed something more then all the love that family could give. And what it needed was the music of Kingdom Hearts. When I listened to the soundtrack, it was as if a close friend was speaking to my soul giving it the nourishment that it needed to recover, especially when I listened to the orchestrated version of Simple and Clean, which to this day as the sheer ability to make me cry. It was a heartfelt special quality that Kingdom Hearts was able to convey to me and I will be forever grateful for that. And of course, playing the game brought me many wonderful moments and got across a lifelong messasge in it’s morals and philosophies. I could go on forever, just on that subject, but since I don’t want you to have to read for hours on end, I’ll move along. And with that I mention the Ansem Reports. Oh, the hours of joy I spent pouring over the reports and comparing the information to the series and beyong. It was incredible and opened me up to a world of curiousity that I easily applied to even more then just Kingdom Hearts. In the curious spirit of Xehanort and his Ansem reports I found a hunger for knowledge that to this day, I still find myself looking for new things to deeper understand. And not only that but it sparked friendships by sharing theories on the reports themselves. Speaking of friendships, that’s the next thing that the Kingdom Hearts Series did. It opened up new friendships and ones with deep meaning and lasting memories. I wish I could mention each one by name, but I think those people could easily know who they are. But sharing the song Sanctuary with one of my friends, rivaling the friendship between Roxas and Axel with another friend and always weaving memories together will be in my heart forever. And I’ll always remember that you have something I don’t. Me as a friend. Which of course works both ways. And much like Axel said, as long as we keep each other in our hearts, we’ll never be apart. Our memories will be together forever. It’s hard to say all of the deep connections that I have with Kingdom Hearts because I could be typing for my entire lifetime. But I do know that without the Kingdom Heart Series, I would have missed out on a huge part of my life, one that I wouldn’t trade all the money in the world for. And I’ll leave you all with the words of Axel that I constantly turn to in my many endeavors in life. “If you’ve got a dream, Act! Don’t wait. That’s one of life’s little rules. Got it memorized?” Boy, oh boy, do I EVER have it memorized and I wouldn’t have it any other way. How has Kingdom Hearts touched your heart? Did you grow up with the Kingdom Hearts series? If the Kingdom Hearts series have ever played part in your life, whether it be creating new friends, discovering a gaming passion or something else, let us know in the comments below. P.S. Look out for our Kingdom Hearts Competition on Wednesday, join our KH Forums to take part! “How has Kingdom Hearts changed your life?” was written by Princess Zelda, ex-blogger on Kingdom Hearts Ultimania. Each Monday, we publish a Guest Blog from a member of the KH & Gaming Community.